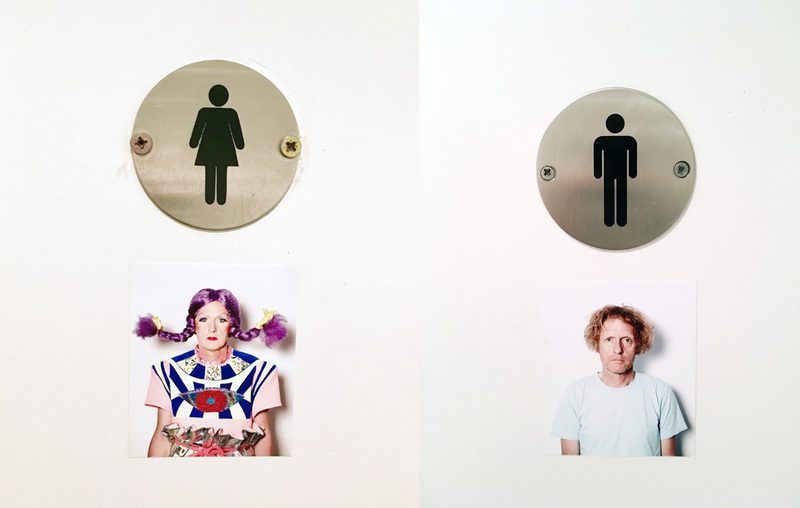 In 2014 at the private view of the exhibition ‘Who Are You?’ at the National Portrait Gallery I placed unsanctioned prints of Grayson Perry’s male and female personas over the conventional symbols on the gallery’s public toilet doors. 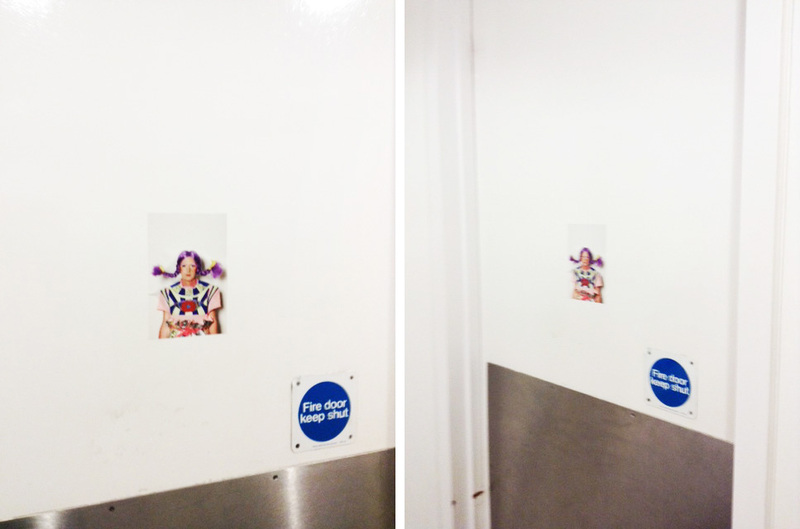 In 2017 I approached Grayson Perry’s studio to request a sanctioned reprise of the installation on the gender defined toilet doors for his exhibition ‘The Most Popular Art Exhibition Ever’ at Serpentine Gallery. 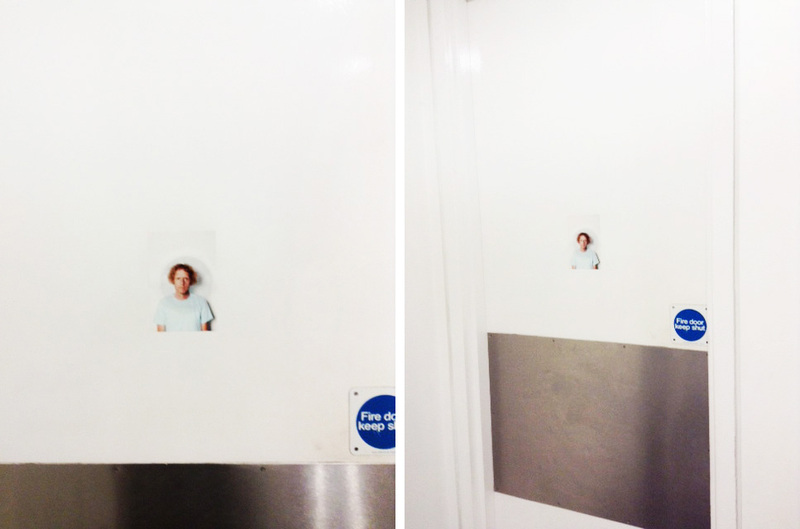 Due to the official inclusion, the avoidance of confusion or offence was considered and the gallery was unable to commit to the covering of the conventional symbols and the images were placed underneath.